100W combo with a nice sound and enough power for many different situations. The clever wedge desing means you get all the low end as the amp sits on the floor, but the mid and high frequencies are shot directly towards you. 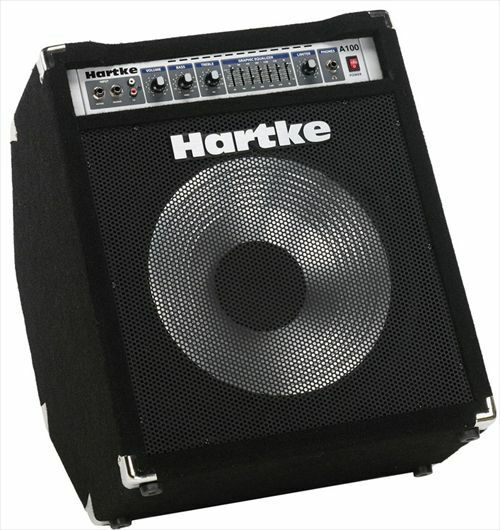 Hartke's trademard alumiun speakers prove to be great at offering deep lows with a lot of definition too.